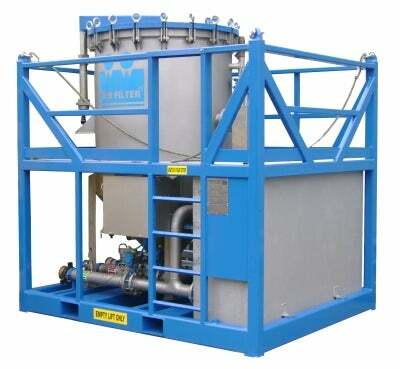 Parker Twin Filter’s vertical pressure leaf diatomaceous earth filter unit handles large filtration areas and successfully filters fluids with a high dirt load, even at a high flow rate. The unit has a long filtration cycle and provides the lowest possible NTU output. The innovated wash down system minimises downtime and is time-efficient. Cake discharge is quick and environmentally friendly because it is performed through a closed system. The unit has a compact frame and all major connections on a single side, so it makes it ideal for offshore applications. Filter leaves are SS316L with an updated polypropylene filter cloth design. Several extra options include double execution for continuous filtration, combinations skids with cartridge filter unit and other options. Parker Twin Filter also offers additional equipment such as diesel pump skids. The VPL can be used with completion and workover fluids, brines, seawater and wastewater.